Jordi Assens a degree in Biology from the University of Barcelona, graduated in General Management from EADA and Master in the Knowledge Society and Information by the UOC. He is the author of the books “Eggs with Beicon: how to increase the commitment of employees in your company” and “Succeeding with English: knowing how to learn a language when one is not so young”. 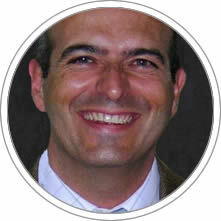 Jordi is a visiting professor at schools like EDHEC (France), NIMBAS (Berlin) and CENTRUM (Peru). He has been a trainer and consultant for companies such as Agbar Group, AMES, CRG, Grífols, Ferrer Group, Honda, Mango, Roche Diagnostics, Sharp and TMB. Jordi is Director of the General Management Program and People Management and Professor of Strategy, Leadership and People EADA.